There are certain occasions in life when you are lucky enough to meet some of the world’s most interesting and absorbing people. The kind of people who aren’t necessarily rich or famous (although it’s true, they often also are), but those who have real stories to tell based simply on hard graft and a wealth of attributed experience. Aside from frequent encounters with my fellow Arbuteers (all of whom naturally fall into this category), recently I sat down to dine with, and to listen to, another group of equally inspirational individuals. In celebration of the Dorchester’s 80th birthday this year, (the big 8-0 above the main door is not the only thing to give this away) Barbara Banke, from one of California’s most well-known premium estates, Jackson Family Wines, hosted a dinner in happy marriage with the launch of her new-to-market Vérité La Joie 2008. In the decadent and brightly Scottish-themed Grill, we stood among red roses and rouge tartan before being seated for dinner. It was at our initial gathering that I was able to steal a few moments with Barbara, prior to her being whisked into further conversation of a more equestrian nature. Barbara Banke, second wife of the late Jess Jackson, ‘Titan of the California wine industry’, not only deals in wine, but also in racehorses. 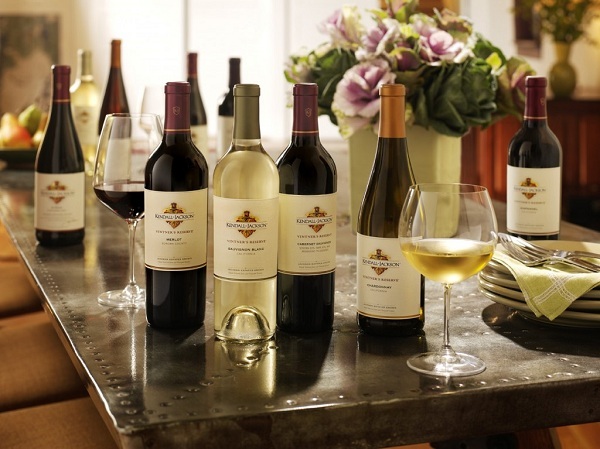 The ex-corporate lawyer met her highly successful late husband while working in sunny San Francisco, and after being married in Hawaii, decided together that they would turn their attentions, and investments, to wine. As co-founder, proprietor and chairman of the company, today Barbara ensures that the wineries remain as family-run as they always have been, evident enough from her simple entourage – her two daughters. But family is not her only charity – she’s also dedicated to a much wider philanthropy, investing in the local environment from which she’s made her latter day fortune, and in the lives of those people and their as yet untold descendents, in a region to which she will one day leave her legacy. With various sponsorships and a genuine focus on sustainability, it’s an enviable list of achievements that have amounted to this. At dinner I was placed next to the charming Cristian Stivert, Head of Wine UK, for the Dorchester Collection, and Caroline Shaw, head of public affairs for KJ Wines. From one to another it was difficult to know who to listen to more, since they both had their own unique stories to tell, such is the beauty of their industry. From inception right through to the end product, wine can’t help but inspire discussions and bring people together. And those that surround it will always have a story to tell. Tonight these stories flowed: Cristian, now responsible for choosing the 1000+ wines that feature on the Dorchester’s list – a personal collection that has travelled with him from place to enviable place, tells me of life before vino – when he was a pilot for Air France and flew all over the world. Since then he has worked at some of the most prestigious worldly establishments and has made friends or at least acquaintances with the most affable members of today’s most talked about society. He and I talked travels, places we’d both been, and places still to see, which led me to discover how Caroline, seated to my right, had traced her own inter-state travels throughout America, accompanied by her own remarkable yet modestly spoken accolades. A one time US Olympic skier (“I was only on the B team”), she’s also worked under the Clinton administration and with some of the biggest movers and shakers on the US sporting scene. Now she works in wine where she’s able to travel the world, blending her own interesting history with that of the Jacksons. Something tells me she wouldn’t work for anyone else. Of course, the main theme of discussion for the evening was the wine – and their personalities – deliberately manipulated to compliment our own. Rarely is craftsmanship and quality so apparent from a first sip. And hyperbole aside, the smiles from around the table to prove this resonated from every guest in attendance. My highlights of the evening included the Cambria Tepusquet Viognier 09, the Highland Estates Camelot Chardonnay 2009 – putting those who are normally ‘ABC’ (anything but Chardonnay) firmly in their place with some well balanced creaminess and acidity, and of course the Vérité La Joie ’08 – the newly launched pinot. These, along with the other wines of the evening, were matched to a sharply presented menu, created by none other than chef extraordinaire Brian Hughson. Cambria Tepusquet Vineyard Viognier 2009 – a well- groomed, supremely low yield wine of only 3-400 cases with a floral nose, tasting of pineapple and lychee. Highlands Estate Camelot Chardonnay 2009 – the epitome of a ‘boutique winery on steroids’ displaying minerality with a subtle yet rich creaminess. Stone fruits and bright acidity. Much like our older world’s petit Chablis, this is a prime example of a new world Chardonnay. Cambria Julia’s Vineyard Pinot Noir 2008 – also found at Blumenthal’s Fat Duck, this classic pinot style displays different layers of characterful flavour, showing off notes of orange peel and spice. An oak-aged, elegant and noble wine named after Barbara’s youngest daughter Julia. Chateau Lassegue Saint Emilion Grand Cru 2006 – if this wine were a fairytale she’d be the sleeping beauty. Very pretty now but will become more attractive yet if left to rest a little longer. Light and fresh despite its initial power. Vérité la Joie 2008 – with the ’07 being a rare winner of a 100 Parker points, this slightly younger sibling – even to those not in the know – will equally knock the socks off its privileged tasters. This wine is what some might call the perfect expression of an old world approach with all the fruity potential of the new. Edmeades Ciapusci Single Vineyard Zinfandel 2007 – from the oldest planted vineyard in Mendocino, this red wine is green and leafy but still shows its underlying gentle age. Tasting of morello cherries, it’s also a little peppery on the palate. 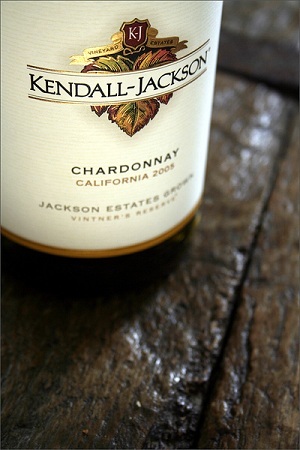 Kendall-Jackson Late Harvest Chardonnay 2006 – think you know Chardonnay? Think again. This delectable desert number will leave marmalade on your nostrils and sugar on your teeth. Nobly rotten then pressed, all for our sticky tasting pleasure. As the evening drew to an end and the attendees piled out into the night, I wasn’t the only one who left grinning like a Cheshire cat. Not only was it the premium wine that had brought a smile to my face, but the simple majesty of stepping a little further under the skin, both figurative and literal, of these two prestigious brands. Each is unequivocal. Each maintains a reputation. And neither is brash nor brazen. Pedigree is what set this evening alive, on every possible scale. Eighty magnums of the Cambria Bench Pinot Noir have been supplied to The Dorchester for its 80th birthday. I’d say its time to round up your best story-telling friends and book a table. 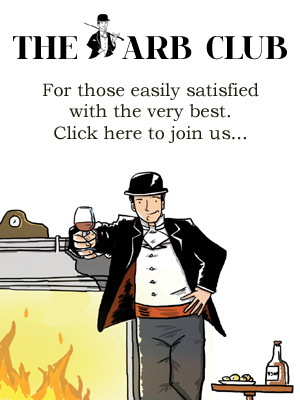 The Grill at The Dorchester, 53 Park Lane London W1K 1QA. Tel. 0871 971 6616. Website.